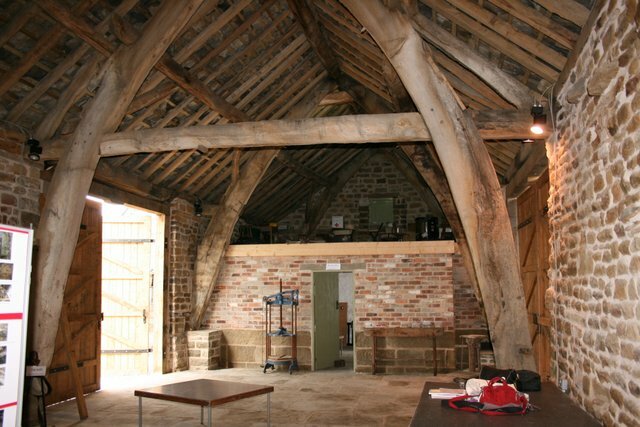 New Hall Farm near Barnsley in Yorkshire is a working farm which has a sixteenth century cruck-frame barn. This has been restored and refurbished as a teaching/activity area for school visits. Each pair of crucks is made from a single oak tree trunk cut down the middle to form a matching pair. A tie-beam is jointed in at eaves height to carry the wall-plate and principal rafters. 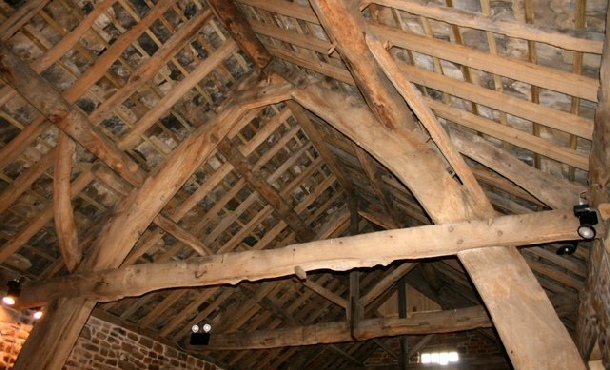 The crucks carry the weight of the roof down to the ground so that the walls are not load bearing. The walls are now made out of stone, but it is quite possible that they were originally made from wattle-and-daub.